Home FOTD pastels shimmer sugarpill cosmetics Sugarpill Sparklebaby Review and Two Girly Makeup Looks! 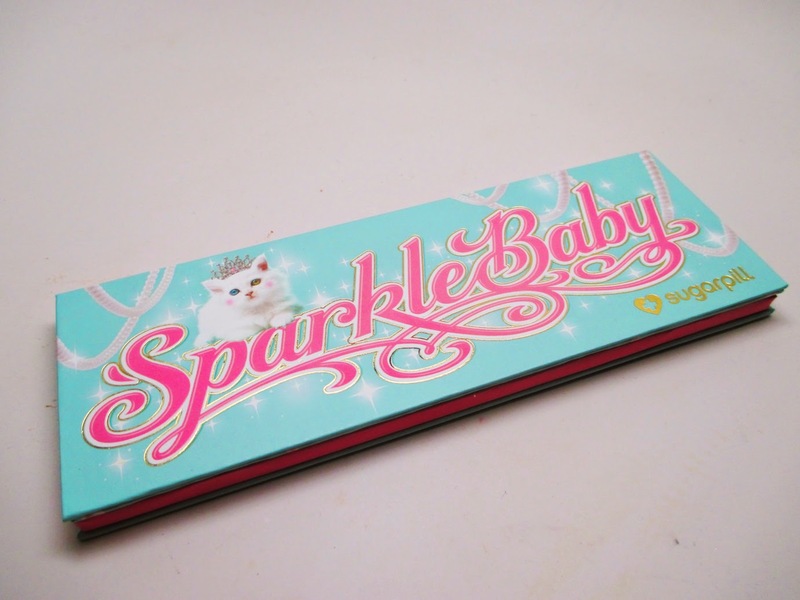 Sugarpill Sparklebaby Review and Two Girly Makeup Looks! It's time for another review! Today i'm featuring one of my favorite brands Sugarpill. 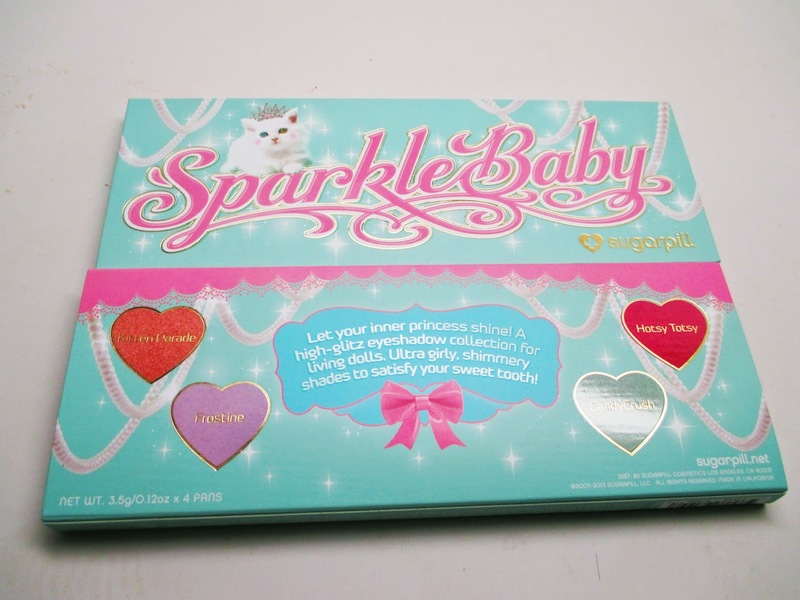 They recently came out with the girliest, most fabulous palette called Sparklebaby. I've got a review, swatches and a look for you. Check it out! 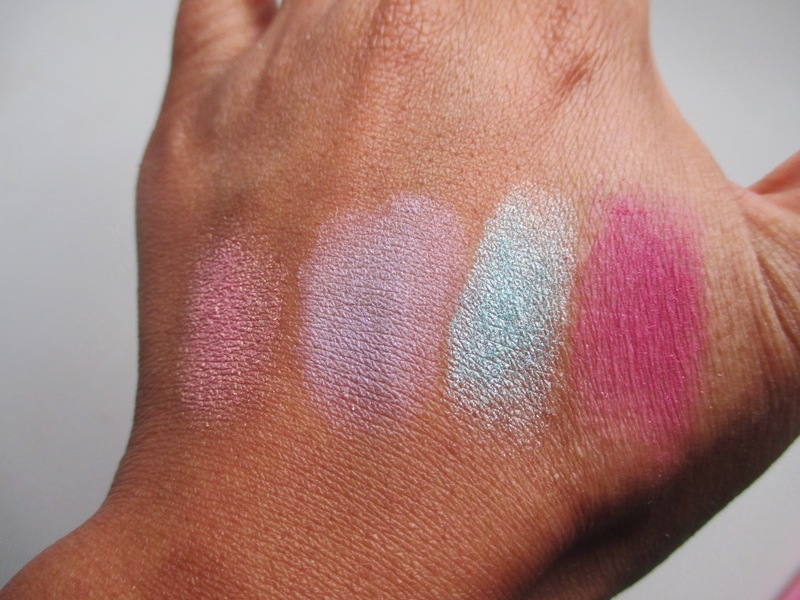 I love the concept of this palette - bring out the princess in you! The packaging as usual is superb - I love their bright, sleek cardboard packaging with decorative mirror inside. I already feel cuter just holding the palette lol. 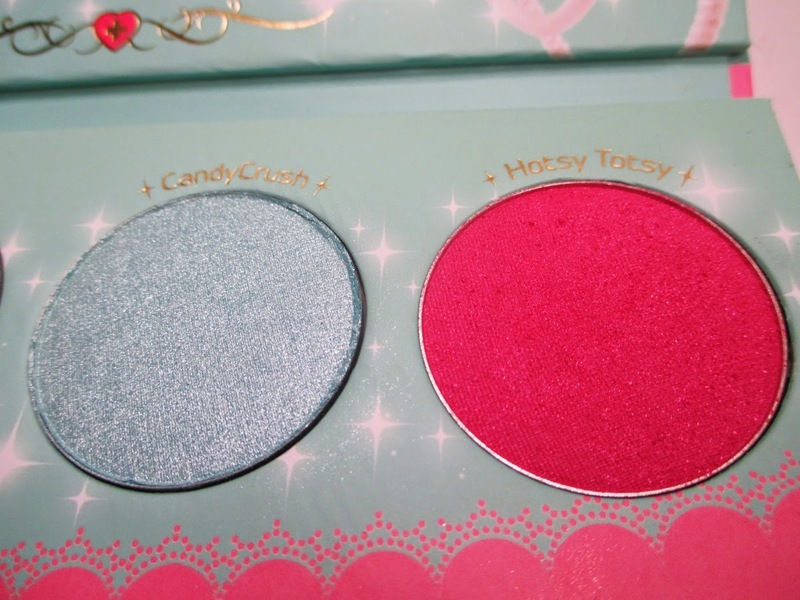 I love that Sugarpill always sticks to it's brand style they always come up with super vibrant, pigmented shades. These shades aren't typical fall colors and I love that they didn't follow that trend and instead came out with something bright and fun for these cold months. Candy Crush - This is a blue based metallic shimmery aqua. I think this would be gorgeous paired with a smokey eye and popped on the tear duct. Or you can go all out and place it on the lid for a beautiful mermaid eye. Hotsy Totsy - This shade is a deep reddish fuchsia. Upon examination, it's a matte texture with little glitters in it. I find that on the eye it appears matte, which is great for using it to contour the eye. Kitten Parade - I'd describe this as a shimmery rose gold. It has a metallic finish and packs a lot of punch. I think these pictures don't show the true color but believe me, it's more of a rose gold which is one of my favorite shades to pop on the lid and smoke out with some neutrals. Frostine - I love this shade. It's a satin finish Lilac with iridescent pink shimmer. I used this as a wash of color in my crease - since it's not too shimmery it works well to help blend out other brighter colors or rock it as the central lid focus for a gorgeous purple smokey eye. Onto the swatches! These are all applied without a base. As you can see, they're all very pigmented. I noticed that when applying them on the eye there is practically no fall out either, score! I find that the texture is a little tougher than some shadows especially on Kitten Parade, but you still get superb payoff. I decided to create a look showing two different look options! On the left, I go for a berry gold look. 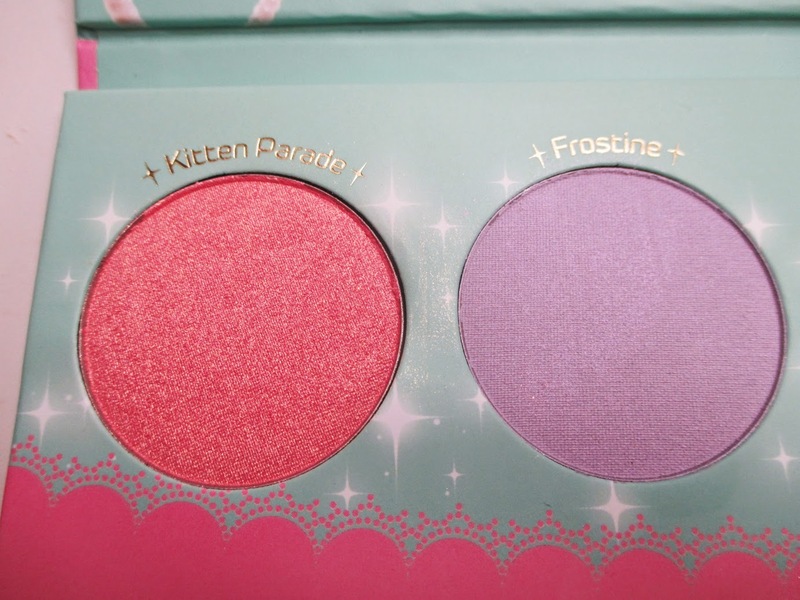 I placed Kitten parade on my lid and tear duct and Hotsy Totsy on the outer half. I replicated the colors on my lower lashline. To add a bit of dimension I deepened my outer v with a matte plum shadow. This is such a girl fun look for fall. On the other eye, I went for a shimmering winter ice look. Candy Crush looks great as a focus color on the lid and then I used Frostine on my crease to add a wash of color and to help blend. I always believe in adding a matte color to your eye look for balance so I added a navy blue to my outer v. It's surprising that these pastels work so well for a Winter look but they are definitely so versatile and I can't wait to pull out this palette again in Spring. Both eyes paired perfectly with dewy skin (Iman BB Cream), Peachy Cheeks (Tarte Tipsy Cheek Stain) and Peachy Glossy Lips (The Balm Pop! Lipgloss). I hope you guys enjoyed! You can find the Sugarpill Sparklebaby Palette for retails of $34 at www.sugarpillshop.com Considering the size of the shadows and the beautiful packaging I think this is a great deal. OMG I wish I saw this review yesterday. There was a discount for Cyber Monday. I have it my basket but did not pull the trigger. I will be getting it!!!! wow Ren you look gorgeous!!! Love your hair!! !